Over the weekend, one of the vans that we use to transport kids to two different branches of the Boys & Girls Club of San Dieguito every day after school, was stolen. 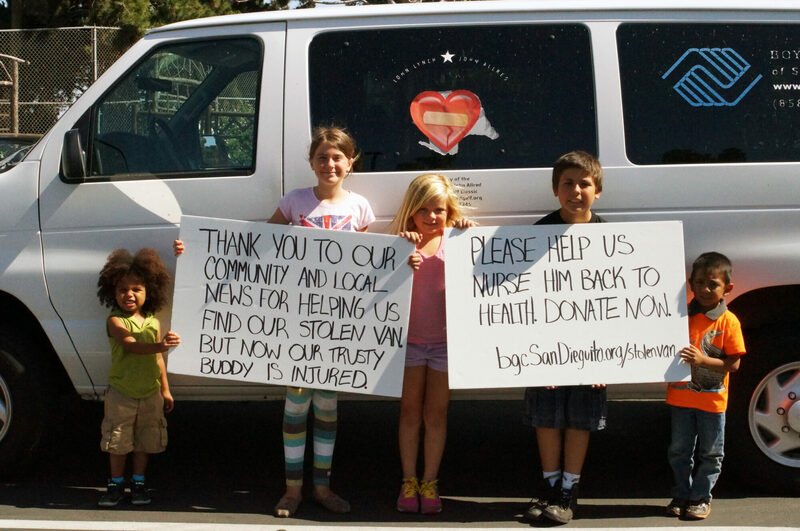 The van was found on Tuesday, April 29th, in Del Mar with a broken window. Because it had been started illegally, there was also damage to the ignition panel. Please help us nurse our trusty buddy back to health.